The EU directive has addressed ambitious targets concerning the quality of water bodies. Predicting water quality as affected by land use and management requires using dynamic agro-hydrogeological models. 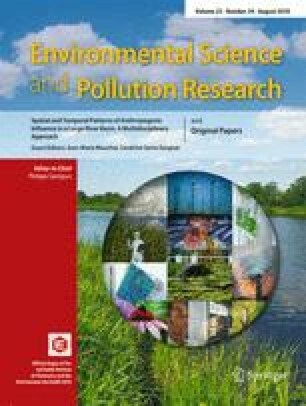 In this study, an agronomic model (STICS) and a hydrogeological model (MODCOU) have been associated in order to simulate nitrogen fluxes in the Seine-Normandie Basin, which is affected by nitrate pollution of groundwater due to intensive farming systems. This modeling platform was used to predict and understand the spatial and temporal evolution of water quality over the 1971–2013 period. A quality assurance protocol (Refsgaard et al. Environ Model Softw 20: 1201–1215, 2005) was used to qualify the reliability of STICS outputs. Four iterative runs of the model were carried out with improved parameterization of soils and crop management without any change in the model. Improving model inputs changed much more the spatial distribution of simulated N losses than their mean values. STICS slightly underestimated the crop yields compared to the observed values at the administrative district scale. The platform also slightly underestimated the nitrate concentration at the outlet level with a mean difference ranging from −1.4 to −9.2 mg NO3 L−1 according to the aquifer during the last decade. This outcome should help the stakeholders in decision-making to prevent nitrate pollution and provide new specifications for STICS development. This project received funding from the Seine-Normandie Water Agency (AESN) and the PIREN-Seine program. We thank also the anonymous reviewers for their helpful comments.